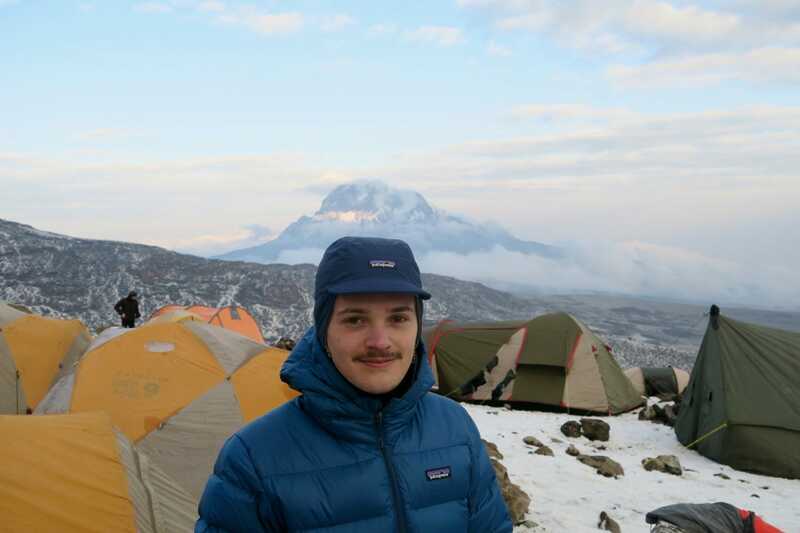 James, a #PaddyStaffer from our Melbourne store heads off on a trekking holiday to Tanzania – and he takes us with him! 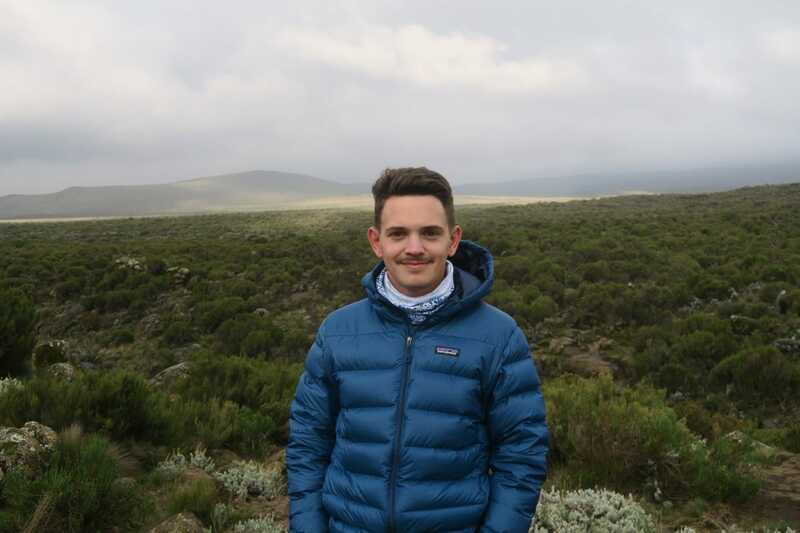 Taking on the ultimate mountain adventure, James shares the ins and outs of Climbing Kilimanjaro via the Lemosho route, a world renounced adventure destination and a bucket list item for many! I found myself alone, shaded from the sun as I sat underneath the vast limbs of a mango tree. I was outside of Kilimanjaro International Airport, slowly leafing through the pages of a penguin classic. 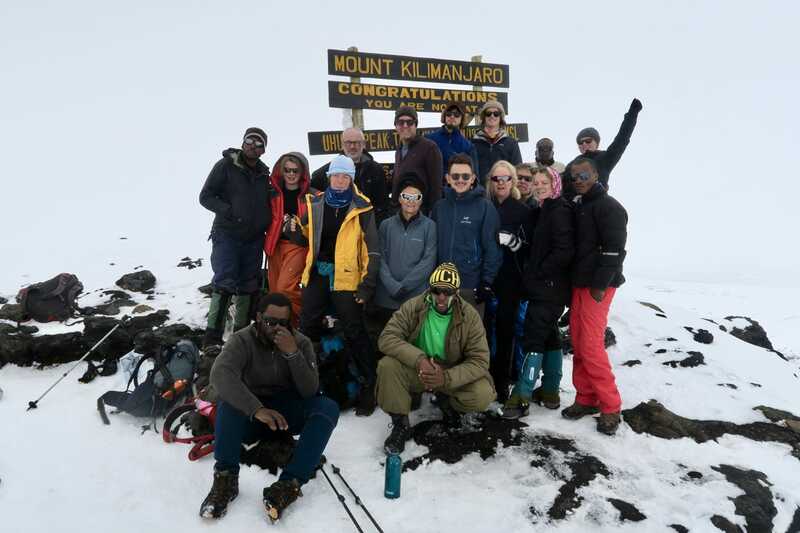 I had planned to arrive together with my 12 travel companions but through good or bad fortune I found myself 2 hours early, sitting down on African soil with Mount Kilimanjaro, the ultimate adventure destination, towering off in the distance. It was mid-summer when we all left Melbourne, our bags full of boots, down jackets, thermals and gloves. As a seasoned Paddy Pallin staffer I had helped kit out most of our crew of hikers with plenty of warm gear. We had all put in hours of training to build our fitness and stamina. At 5,895m above sea level, Kilimanjaro is the highest peak in Africa. As the highest free-standing peak in the world, we were determined to stand on the very top. Our group all finally gathered onto the bus and off we went to our hotel near Arusha. 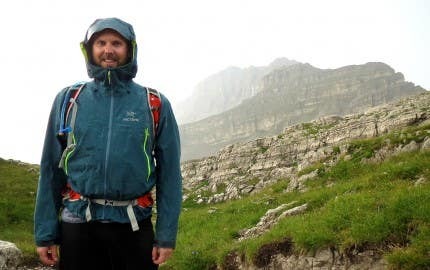 We spent a few long days packing and repacking our gear, making sure we knew where all of our socks and undies were when we would need them most. The day before our ascent started, our group was thoroughly briefed by our lead guide and an assistant. If you are like us and had never really done anything like this before – having a guide made it far easier to organise all of our domestic travel within Africa. By the time the sun had set and we had already had our equipment carefully checked by our head guide, started our main course of altitude sickness tablets, counted our US dollars for tipping our staff, stuffed in as many carbs as we could find on the dinner menu at our hotel, enjoyed a final glass of wine, and were off to bed for an early departure the following morning. Our first day started with an early alarm and breakfast in our hotel. 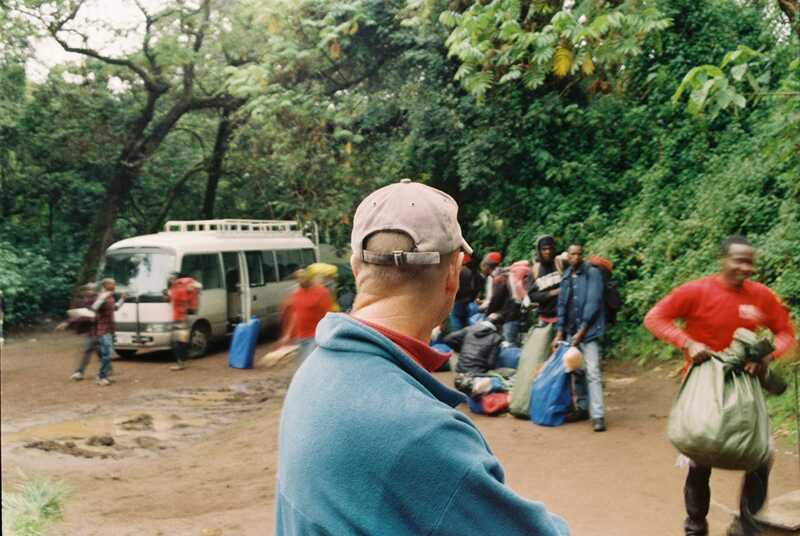 After loading up a bus with all of our gear we began the long drive to Londorossi Gate at the base of Mt Kilimanjaro. The Kilimanjaro climb is carefully monitored by Park officials, so upon arrival at the Gate, we all signed in and registered our personal details with the park office. 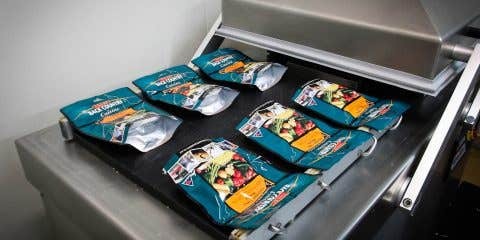 Our equipment was lined up and carefully weighed by officials to ensure an equitable distribution among our thirty-seven staff – we had to be careful to keep our weight below 15kg, which is especially important considering each porter has to carry the clients’ gear for 9 days, in addition to their own. Now, it was time to begin! 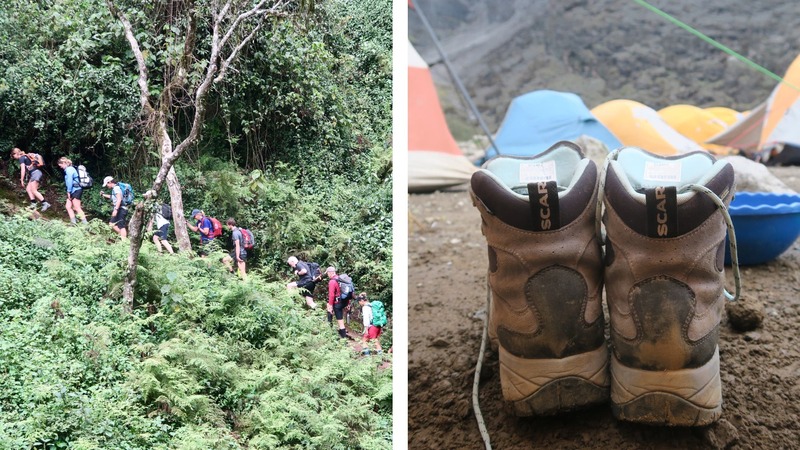 We strapped on our daypacks, clicked our trekking poles to length and laced up our boots to begin our walk through the steep rainforest. The trees towered over us, dripping with moss and lichen, and we could hear the distant calls of monkeys swinging through the canopy above. Throughout the afternoon we slowly climbed our way up to our camp, all the while keeping an eye out for the creatures of the forest and the tree roots that would grab at our ankles. 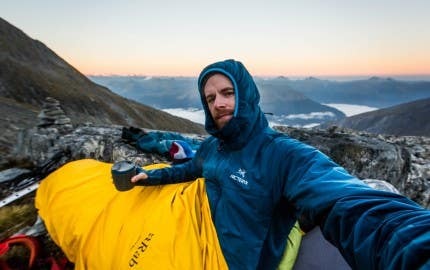 We spent a happy first night in our tents at 2,795m, and woke early for a breakfast of eggs, toast and coffee. After an hour of walking, we quickly learned to step aside for the river of porters that would pass us with their backs heavy with the weight of chairs, tents, food supplies, and our gear. The thick jungle started to slowly thin out into new types of vegetation, with heather bushes crowding out above the height of our heads. We were only on our second day and it was already becoming cooler. Clouds came and went all morning, but when they finally disappeared behind the mountains the sun got a chance to warm us up. After a long day we finally climbed onto the Shira plateau for our second night’s sleep. We were tired and hungry but before we could crawl into our tents, our porters launched into a wonderful song and dance to boost our spirits. This became a ritual every afternoon and it really helped to keep us awake and jovial into the evening. 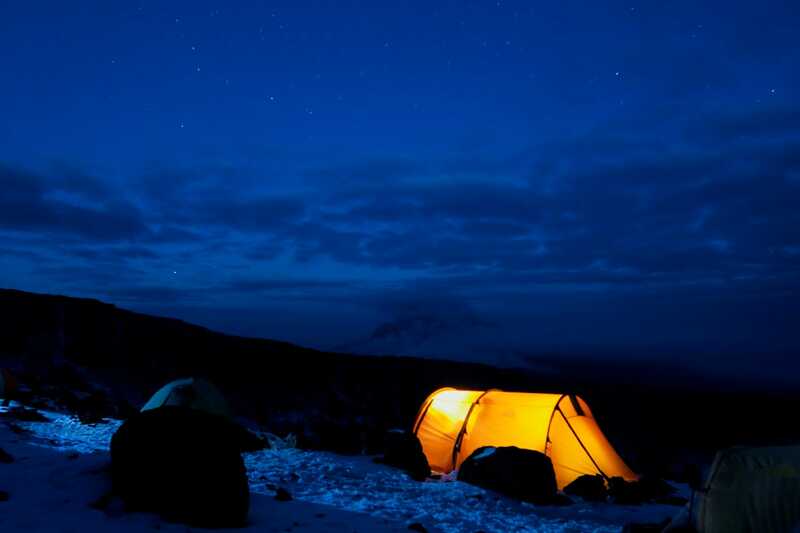 After a hearty dinner in our mess tent, the sun had set and the cold came down on the plateau like a heavy blanket. Day 3 – Shira Camp I 3,450 m – Shira Camp II 3,850 m – Moir Hut 4,250 m.
This was our first sunny morning, which was helping to melt the frost off of our boots and the misty vapour from our breaths sparkled in the morning light. The sun threw its warmth across the vast amphitheater of hills that surrounded us. Today began as a long, gradual climb out of the Shira plateau. The landscape became ever bleaker as we trudged onwards, with the heather becoming sparse and short as we reached our lunch spot. Our group was now well attuned to the workings around us. First thing in the morning we would wake to a tub of warm water and a mug of coffee. Once we had washed the sleep from our eyes, the coffee would boost us out of bed and warm us up. After putting on our hiking gear, we would pack up our sleeping mats and sleeping bags, and pack our daypacks with everything that we may need for the day, leaving our porters to pack up the tents and to take our duffels to the next camp. 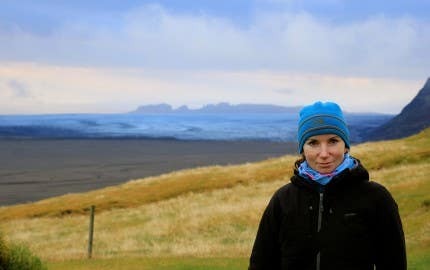 We would eat breakfast together with our lead guide, and once finished we would start the day’s walk. Each day was led by two of our lovely guides who would monitor our progress, tell us the history of the mountain, and make sure to remind us to walk slowly and to keep hydrated. Through most of the morning, we would see the much faster and more able porters rush ahead to set up for lunch, or to establish a good tent site for the night ahead..
After a long day, we had climbed all the way up to 4,250m, and set up camp at the barren and rocky Moir Hut camp site. Late in the evening, the clouds that had rolled in above us parted for a brief moment to reveal, for the first time, a snowy glimpse of Kilimanjaro itself. 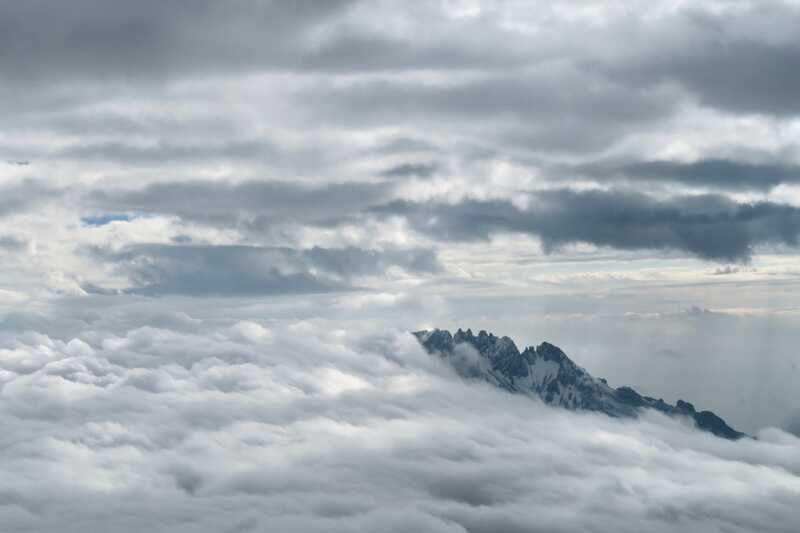 The summit had, until this point, been covered by mist or obscured by the great hills that spread down from its peak, and just as we began to enjoy its presence, the clouds covered over her again. We awoke from our highest sleep yet. By this point, some of our group had endured a restless night, with heads pounding and nausea knocking at the door, but we were assured that all would be fine. Today saw us beginning with a long climb to our lunch spot, we would descend to sleep at a lower altitude. By having lunch at a higher altitude, we would benefit in following the golden rule of acclimatization: ‘walk high and sleep low’. Our lunch spot was at the infamous Lava Tower, an ancient volcanic spire that erupts out of its eerie landscape – or, so we were told. The wind, fog, and sleet had all helped to obscure any chance of us seeing the Lava Tower, and the headache that had started to ebb into our group encouraged us to head down quickly to the next camp. 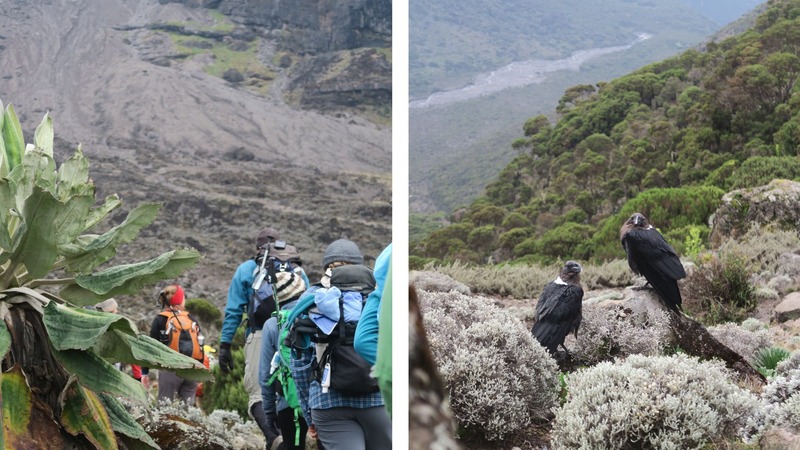 Barranco Camp was magnificently positioned right underneath an imposing wall of rock and ice, providing great views of the imposing climb we had to conquer the following morning. Today was going to be short. You could go as far as saying it could have been easy, but alas, it wouldn’t end up being that way. At breakfast, we gathered our weary bodies and were given an option by our trekking company of consolidating the next two days of walking into a single slog. Why undertake this madness you ask? Well, overall we had been coping well with the altitude so could manage without the extra night of acclimatization. Further to this, the next two nights would be at notoriously crowded camps, so we could head further up to our final summit camp and hopefully get a good spot for our group. We could have a longer rest, and start our summit attempt at 5am instead of midnight, meaning it would be warmer, lighter and altogether easier. This sounds great, but it would be a long day of walking to try to make the camp for the night. And walking in the wind at above 4,000m is pretty draining, but we were up for a challenge. We committed to carry on to Barafu High Camp. Kilimanjaro had other plans for us. While the first few metres of the day were pleasant enough, we then came to the formidable Barranco Wall. The Barranco Wall is a renowned element of Kilimanjaro. It is impossibly steep, and impossibly treacherous. We would spend the next few hours clinging to rocks, carefully placing our feet close to the cliff and clenching onto any root or branch that would offer itself. Panic had sucked the breath out of us seasoned walkers, and when we finally crested the escarpment we were all glad to sit down and catch up. After a quick lunch we opened the door of our mess tent to threatening scenes. The weather had turned and sleet was driving itself down from the summit. 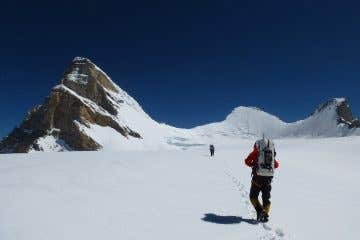 We were committed to going on, and up we climbed towards our next camp. The sleet became snow, and our path disappeared underneath a heavy white blanket. It was windy, slippery and cold but on we marched, like Hannibal’s soldiers crossing the alps. We had though made this choice freely and without compulsion and were determined to see it through, in the hope that it would all lead to a much easier summit attempt the next morning. Our guides woke us up to tea and biscuits on a dark, starry morning. We had filled ourselves with ginger soup and hearty pasta the night before and nervous anticipation was now stirring us out of bed. Today had finally arrived – summit day. Once we had each found a fresh pair of socks and an extra jumper to squeeze under our down jackets, we zipped, laced and buttoned up our gear for the enormous day ahead. As we started out we were reassured by distant clusters of head torches in the dark, far above us as other teams were pushing up towards the peak. I must say that our experiences varied greatly throughout the day, but the altitude did wage a constant war against our minds and our bodies. The climb was by far the hardest thing I had ever done. Every fibre of your body wants to stop and go back. You have to force yourself to take each and every step. Your body feels heavy, your joints creak and groan and your gut churns away. It is extremely humbling, knowing that this vast and towering mountain indiscriminately throws suffering at all who attempt its peak. But against all odds, and after 7 hours of tortuous pain, all twelve of our group made the final steps to Uhuru Peak. For a few minutes we were the highest people on the African continent. I wrenched my mind away from my suffering to enjoy the moment as we sat in the sun, high above the clouds and glaciers below us. It was spectacular. We tumbled past glaciers in the thick snow, feeling ever-better with each step. When the wind picked up and we took refuge in a cave, where our cook had brought us lunch! What a magical surprise that was. Or was it a hallucination? I still can’t be sure. But we wolfed down our lunch and carried on to High camp to pack up our gear. 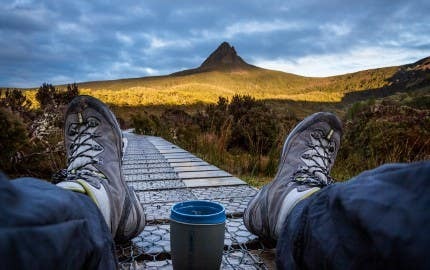 We had a quick nap and carried on down to Mweka camp for our final night on the mountain, having started the 30km day so many hours ago. Our trip had now come to a close with a final breakfast on the mountain. 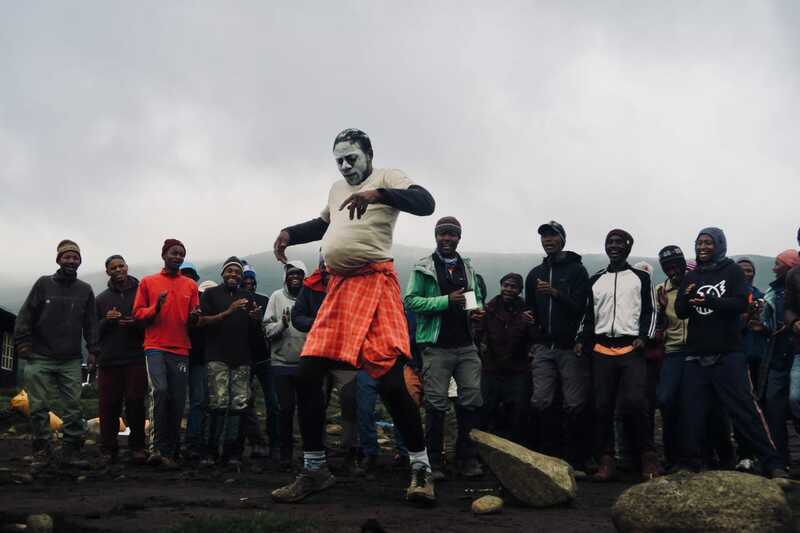 Our vast team of porters, cooks, and guides serenaded us in song and dance in the shadow of Kilimanjaro. We paused to think how incredible it was for us to not only to summit such a peak, but to move all the food, shelter, and gear from place to place for 8 long days. We gathered our tips together and presented this to the head guide, and down we went through the jungle again to Mweka Gate, the end point of our journey. After a long bus ride back to our hotel we all shared our favourite stories, devoured our unfinished Clif Bars, and called dibs on who would get the first shower back in the rooms. 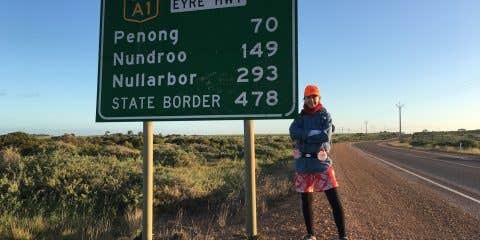 While I can lay praise to the anti-stink properties of Merino clothing, we had tested its limits on this journey. Our trip was now coming to a close, but we will all never forget how special it was. We had achieved something right at the limit of our comfort zones, we had bonded together and we had done it all in a most spectacularly rugged setting. Kilimanjaro is unique in that the difference in altitude from the start of the hike to the summit is quite extreme. There are also no villages or hotels along the way to provide a rest stop. 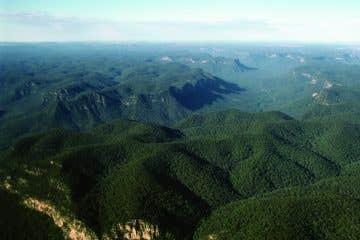 The nightly fees to stay in the national park are high, and as a result, trips on the mountain range from 5 days to 10. 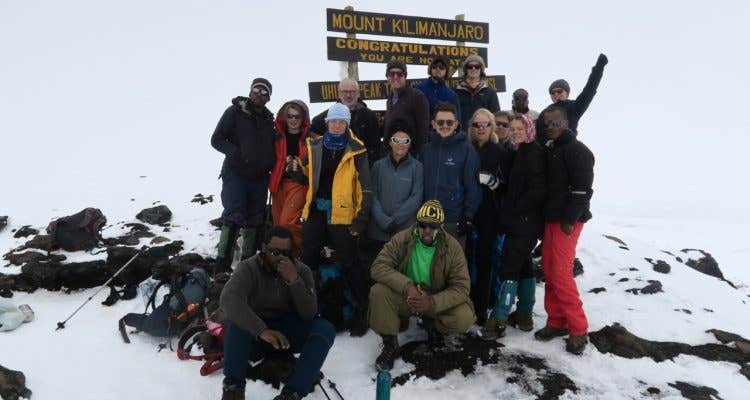 We had chosen a 9-day trip to allow us to acclimatize slowly which should give us a higher chance of success –it became very apparent that success on Kilimanjaro meant less about being fit and healthy and more about evading the grip of high altitude sickness. 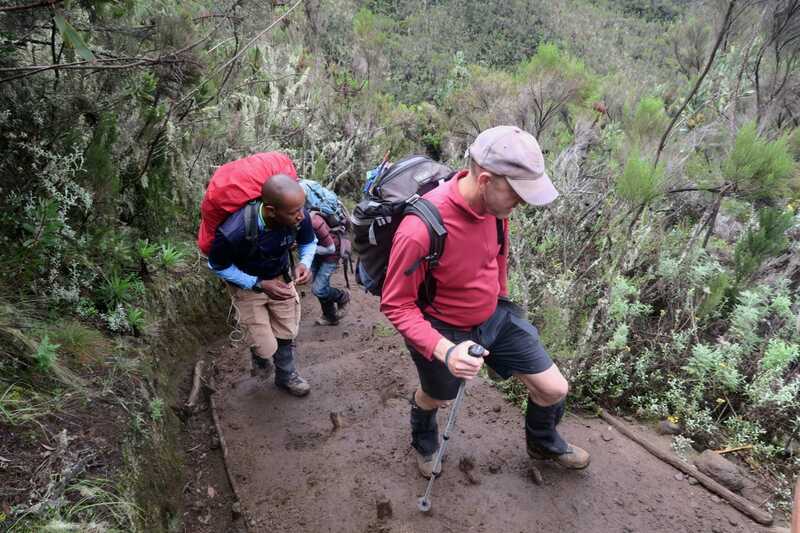 If you are thinking about Kilimanjaro or planning a trip, you won’t regret it! 1. Travelling in Africa – Do plenty of research on travel within Tanzania and Kenya, there are a few travel requirements that may need to be organised well in advance such as vaccinations, US currency, visas, and airport transfers. It is not hard to get around if you are prepared – and booking an all-inclusive trip with one company will streamline everything for you. 2. 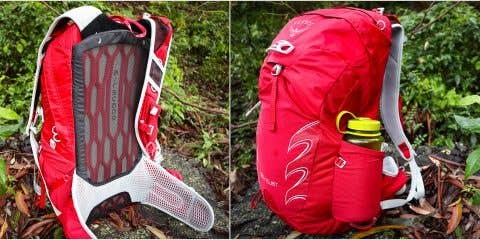 Gear – Head into Paddy Pallin to get advice about the necessary gear and equipment. 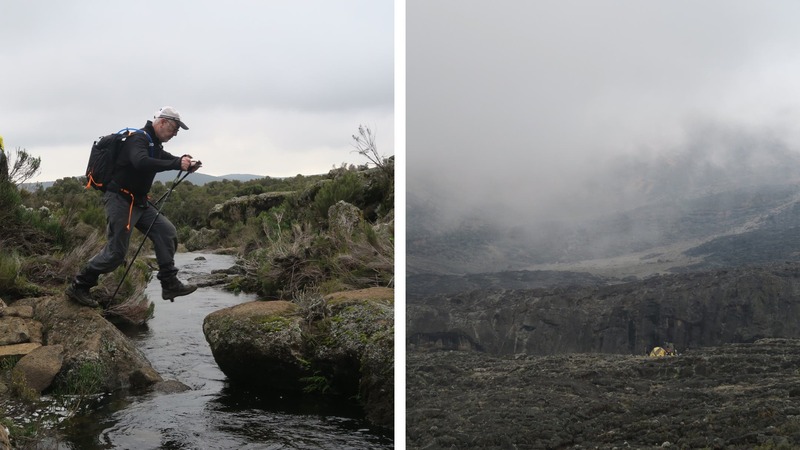 Kilimanjaro has very varied climates and can get extremely cold. Investing in good boots, a good backpack, a warm sleeping system, and warm clothing will all add to your enjoyment and success. 3. Guides – Listen to your guides. They have done this many, many times and know exactly how best to get their clients to the summit. They will be monitoring you throughout the trip to see how you are coping with the climate and altitude. Through being friendly and communicating openly, you will benefit from their invaluable experience. 4. Altitude – Get advice from a travel doctor on altitude sickness medication including how and when to take it. 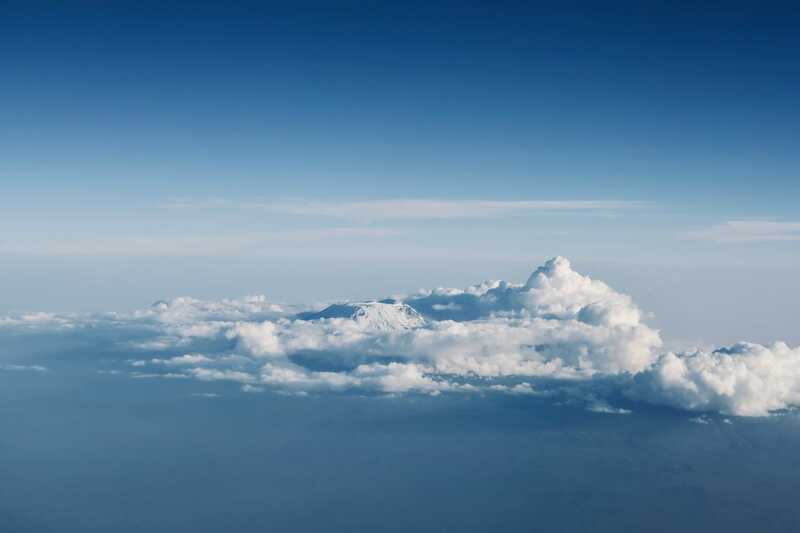 Altitude will affect everyone differently so be prepared, and know how to treat symptoms. If you really feel very terrible – head down the mountain straight away and get medical attention. 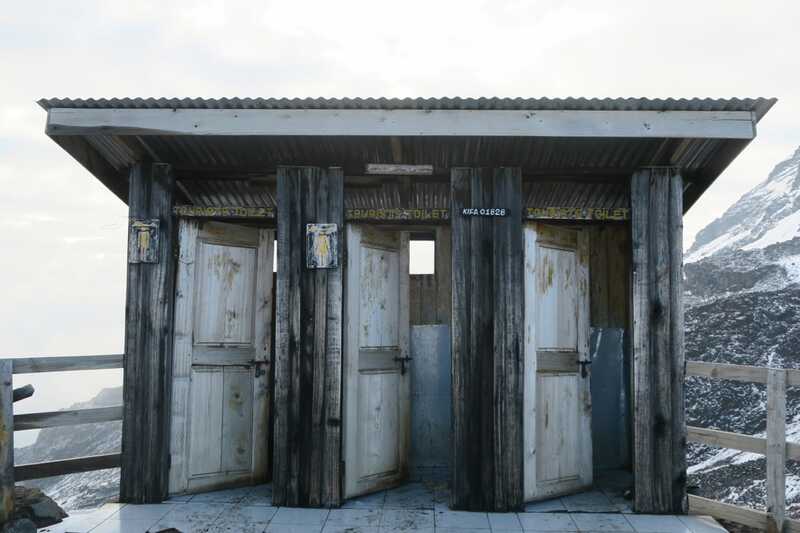 The best advice is to always ‘pole-pole’ – the Tanzanian way of saying slow down. By walking slowly you will give your body more time to adjust to the changing altitude, and more chance of success. 5. Tipping – Don’t forget to bring currency for tips! 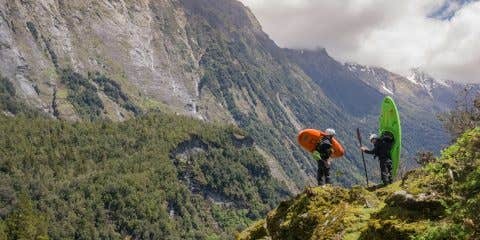 By establishing the tipping breakdown beforehand with the trekking company, it will be clear how much each client needs to tip at the conclusion of the climb. The amount may come as a shock, but by the end of the hike you will have seen just how hard the team of cooks, porters, and guides work, and the ferocity of the conditions. You may also need to tip safari guides and hotel staff. 6. Extending your stay – Book a safari afterwards! 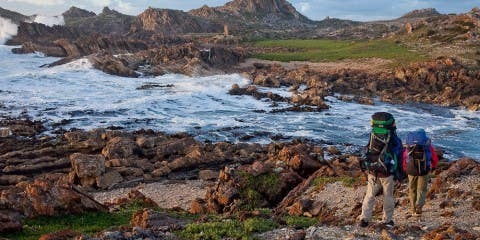 If you aren’t sure if you will travel to Africa again, make sure you get the most out of your time there. The nature of your safari experience will differ between every country in Africa, but going to that untouched and magical part of the world will always be unforgettable. Comment with your story below, or share your moments on Instagram to join the Paddy Pallin community of exploring!